The doctors in our practice know that vaccines, or immunizations, save lives. Immunizations prevent complications, disability, hospitalization, and death from disease. The most common side effects after receiving vaccinations include low-grade fever and soreness at the site of the injection. At Amherst Pediatrics we use combination vaccines whenever possible to deliver vaccines safely, with fewer overall injections. Scientific research consistently supports vaccine safety and effectiveness. This research has repeatedly shown that there is no link between vaccines and children's chronic health issues, including autism. Due to the success of immunizations, there are significantly fewer cases of deadly disease than ever before. However, there are still tragic stories of children suffering severe effects or dying from vaccine-preventable infections. The risk of severe illness and death from vaccine-preventable disease increases the more unvaccinated children there are in a community. Our doctors are committed to discussing vaccinations and preserving relationships with families who choose to alter the recommended vaccine schedule. However, we do ask that these families sign a Refusal To Vaccinate Form to acknowledge acceptance of responsibility and potential consequences of vaccine refusal. Below are some Amherst Pediatrics-approved immunization resources that we suggest to parents for review. You can also speak to your doctor at any time if you have questions about immunizations. IMPORTANT: Please click here to read our Statement on Immunizations. Finding reliable information on the internet is not always easy. Anti-vaccine organizations have developed sophisticated websites that can be difficult to tell apart from sites with reliable, science-based information. We have provided here a list of websites which will serve as a source of reliable information you can trust. 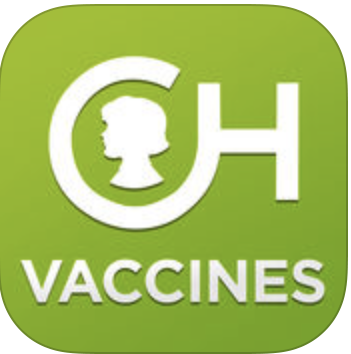 The information on this website ranges from official vaccine recommendations for healthcare professionals to information for the general public about vaccines. Answers to some FAQs can be found here: Vaccine FAQs answered by the CDC. Vaccinate Your Family (VYF) is an Every Child By Two (ECBT) initiative aimed at raising awareness of the critical importance of vaccines across the lifespan. It is the next generation of the Vaccinate Your Baby program, which focused on the importance of protecting infants against vaccine-preventable diseases. ECBT, founded by Rosalynn Carter and Betty Bumpers, has created these two websites. Each contains a broad array of educational materials and information about vaccines, their safety, vaccine research and science, vaccine misperceptions, and many other topics to help clinicians and parents. IAC is a nonprofit organization that promotes immunization for all people against vaccine-preventable diseases. These websites offer educational materials, photos, and video clips for parents, healthcare professionals, the media, and the general public. Information to help guide decision-makers and educate physicians, the public and the media about key issues surrounding the safety of vaccines. To learn more about vaccines, the diseases they protect against, immunization schedules, vaccine safety, and other important information, please visit the AAP™ immunization page.